Could we see expectations be defied? Probably not, but it's fun to speculate. This year’s Royal Rumble match is taking place on a fairly level playing field, not one single male superstar seems to have any clear favouritism or advantage going in. Fortunately for us fans, this makes it a lot of fun to predict, and a high possibility of there being a pretty unconventional winner standing tall at the end of the show. Do we necessarily think these following names are guaranteed winners? Not really, but here are five superstars that we believe could be in contention if WWE writers decided to throw in the towel on logic and book something that nobody would ever see coming. The illusive Bray Wyatt has remained absent from Monday Night Raw, despite having a fairly big presence on various live events. WWE have kept Wyatt in their back pocket since the end of 2018, so surely must have some big ideas for him upon his return. Wyatt’s story hasn’t exactly been the WWE’s biggest success story, so with a fresh start on the horizon for our resident redneck prophet, perhaps the Rumble match is the best place for him to start a new chapter in his career. There’s no doubt in my mind that Bray is going to make an appearance in this year’s Rumble, regardless of if he’s set to win the entire thing or not. However, if WWE are looking for Wyatt to make a huge impact as part of a renewed push, then maybe this is the perfect chance for him to establish himself as a threat to the main eventers on Raw. The Eater of Worlds has never really had a perfect run in WWE, so imagining him to make a dramatic comeback at the Rumble and outlasting the other 29 superstars is quite a stretch. But I think there’s still hope for Bray Wyatt, despite never being given much of a break, there’s still enough intrigue in his character to warrant a big main-event push. The artist formerly known as “Cien” Almas has been on the precipice of becoming a star on SmackDown Live. 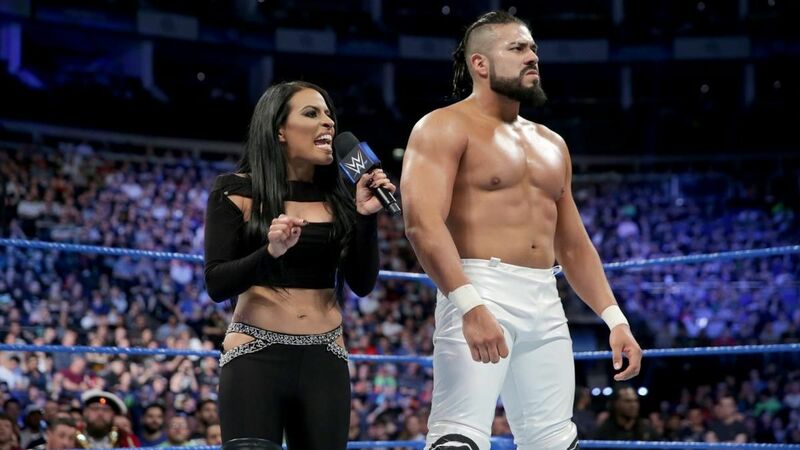 WWE have been pretty vocal about how Andrade is “the future” of the brand, but still remains in that awkward position where he, along with Zelina Vega, are finding their feet in the mid-card. Fortunately for him, his recent series with Rey Mysterio has put him on the map for this year’s Royal Rumble and upped his chances of potentially making it to the end. Andrade certainly isn’t one of the names that would first come to mind heading into this year’s WrestleMania. Nonetheless, if they’re ever going to capitalise on him as their bastion for the Latin market, there’s no time like the present. 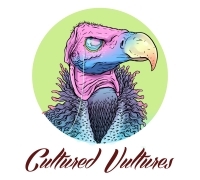 Andrade needs a huge win under his belt to help establish him to the casual audience, at the moment he seems to slowly be seeping back into irrelevance, which for a star with his potential and longevity, is something WWE should be avoiding like the plague. Again, considering how much of a newcomer he is, I’m not sure he’d be the top pick for betting leagues, however Andrade remains one of the more likely unconventional names that we could see take the W.
Everyone has been throwing Seth Rollins’ name out there as their pick to win the 2019 Royal Rumble, but somehow the now former Intercontinental Champion Dean Ambrose has failed to be considered. Ambrose’s heel run has been a flop, there’s no denying that, but that shouldn’t take anything away from the potential for it to evolve into something great. Dean has what it takes to be a real scumbag of a villain, more so than what he’s shown on Raw as of late. Giving him the Rumble win at a time where nobody particularly expects or craves him to win could give him the momentum he desperately needs to make his character work. I’d personally love to see this year’s match come down to Dean Ambrose and Seth Rollins, allowing this feud to finish off in a big confrontation to crown the contender for Brock or Finn’s Universal Championship. It would do both superstars the justice they deserve to be seen as the final two in the Rumble match, Ambrose especially after being given so much bland material during his recent IC Title run. Should the Lunatic Fringe make it as far as the closing moments and into the winner’s seat, then I think we’ll see a huge turning point for both his character and his career. It’s crazy to think that this time last year, Shinsuke Nakamura was considered the favourite to win the Royal Rumble match. Fast forward to 2019 and his stock has declined so rapidly to the point of him being an afterthought. Nakamura is currently feuding with Rusev over the United States Championship, very little has been said regarding whether he shall be pulling double duty as an entrant in the Rumble match itself, but I think it’s a safe bet to assume he will be. WWE have the chance to do something that hasn’t been done in decades, having a back-to-back Royal Rumble winner. Hogan, Michaels and Austin were each given dual Rumble victories, which helped certify that they were at the top of their game in the main event scene. Nakamura’s credibility took a nose dive after WWE failed to deliver on his post-Rumble title feud with AJ Styles, so giving him his second Rumble win could go far in re-establishing him as a one of a kind superstar. Compared to the sweet victory we all felt last year, Nakamura taking the W this year might be considered a bit of an anti-climax. But personally, I want to see WWE try and salvage what they can and give Naka a boost back up the card with a big win. 2018 showed us that WWE are more than willing to slot some nostalgia into their main events to help sell a few tickets. With both Undertaker and HBK proving that they can still put together a match of main event calibre and not be laughed out of the building for being past it, it honestly wouldn’t shock me if either of them just happened to win the Royal Rumble match. The Undertaker is the more likely of the two to make an appearance, but with Shawn coming out of retirement for the tag match against the Bros. of Destruction, it’s going to be hard for WWE to quell their temptation to go through as many ‘dream matches’ as they can think of. After all, these two men are considered the absolute best of all time, so if they were to be used as surprise entrants this year, theoretically they should be able to rack up some eliminations and go the distance. Both have experience winning Rumble matches, so it wouldn’t be totally out of the realm of possibility for them to do it a decade or two down the line. In typical WWE fashion, they just can’t let sleeping dogs lie. Undertaker and Shawn Michaels’ legendary status shall be abused until they literally can’t get in a ring anymore. If you’re thinking about truly unconventional winners, then start counting the amount of Hall of Famers that Vince would love to put back into the main event. Again, these names are considered unconventional for a reason. So I wouldn’t take these names as genuine predictions. Nevertheless, if they were to be chosen as this year’s Royal Rumble winner, there’s a part of me that would sit back and dwell on whether I’m surprised or not. Who would your dark horse be for this year’s male Rumble match? Let us know in the comments below. Two guesses where Lars Sullivan ended up. Is Dean Ambrose Really Leaving WWE? Something really just doesn't add up here. Some really impressive names in here. And Lars. *very Michael Cole voice* could it be THE BIG DOG?